Scotch Porter is a New Jersey-based men’s grooming brand and part of the #beardgang culture. The company is the brainchild of millennial founder Calvin Quallis who took his idea from the barbershop to the shelves and online after noticing his clientele’s need for products that catered to their hair type. Named after his favorite liquor (Scotch) and favorite jazz singer (Gregory Porter) Quallis created the brand with the everyday man in mind. What began as a targeted brand has expanded beyond products solely for the beard and face. 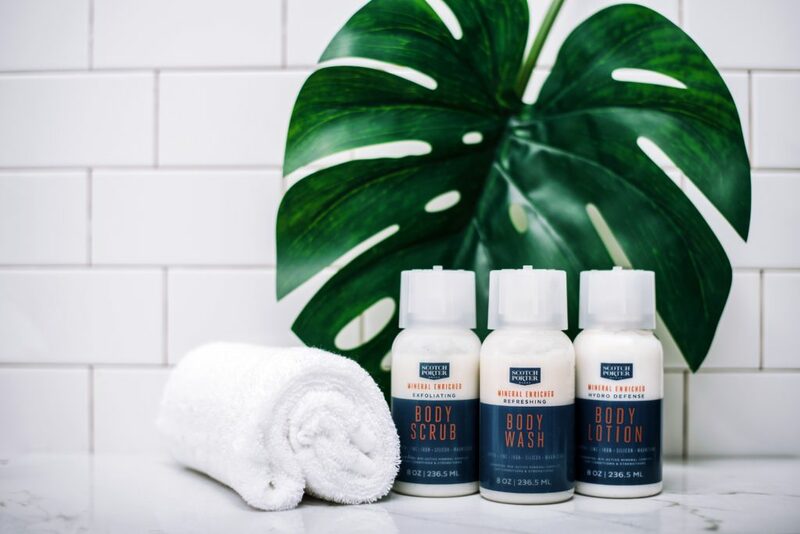 Last fall, the company launched “Fresh Meat” masculine wipes and now the Mineral Enriched Body Collection comprised of a botanically-enriched body bar, exfoliating body scrub, body wash, and hydro-defense body lotion. 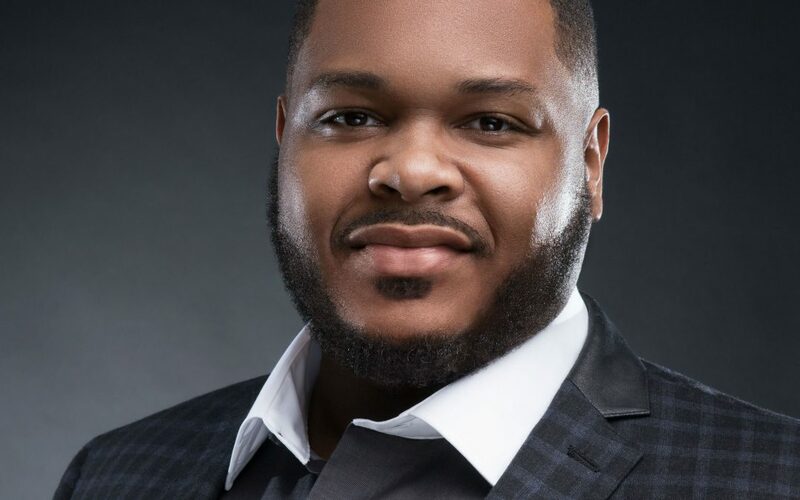 We interviewed Quallis and Aleesha Smalls-Worthington, Scotch Porter’s senior marketing manager, to discuss the business of grooming, building a brand, and tips every millennial needs for success. 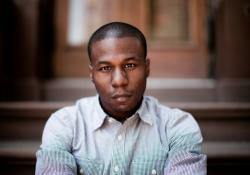 Black Enterprise: You have created a grooming trifecta: face, hair, and body. What was the importance of positioning Scotch Porter as a one-stop-shop for men? Calvin Quallis: With Scotch Porter, I wanted to create a platform that catered to today’s busy man by offering a full selection of quality products conveniently at one destination. Also, we’re more than just a grooming brand, we’re selling more than what’s in a bottle or jar. We’re creating a lifestyle and providing our customers with something that they feel they can aspire to be. How does your brand manage to stay on narrative in a culture of ever-changing trends? Quallis: Our brand stays the course by focusing on delivering on the needs of our customers. By keeping a two-way dialogue at the forefront of our product development, we listen to what he wants and needs. Based on how those preferences align with SP’s mission, we release products and messaging that provides a solution. While a trend is key when it comes to certain products and services, our collections will continue to be rooted in pushing our customers to be great. Marketing and social media have been paramount for most brands on the market. How has this style of branding aided in reaching your target audience? Smalls-Worthington: When it comes to marketing, our approach is multi-touch. It’s critical to meet “him”— where he consumes content—and deliver on his needs through product and information. No matter the medium, we focus on educating and entertaining men. Whether it’s talking about the benefits of using our products or highlighting interesting lifestyle hacks, our goal is for Scotch Porter to be a touch point in his life that makes him look, feel, and smell his best. How has the barbershop; the church played a part in helping to build Scotch Porter? Quallis: The barbershop is why Scotch Porter exists. Before the launch of Scotch Porter, I owned a barbershop called Center Stage Cuts. My mom also owned a barbershop/salon when I was a kid. Scotch Porter was born out of a barbershop that served predominately black and Hispanic men. Two months after opening the shop I noticed this recurring grooming issue that many of our customers had: very dry, damaged frizzy beards and hair. I put my problem solver hat on and from home, I researched natural products, ingredients and their effectiveness to treat my customer’s concerns. With feedback from our customers over the course of one-and-a-half years, I developed Scotch Porter’s first line of products with botanical infusions. What are 5 core values every entrepreneur should follow to build a business in a millennial society? Being resilient is another one. There’s some days where you’ll feel completely defeated, tired, and at the point where you want to give up, but on the other side of all of those dark thoughts is success. When I feel overwhelmed or defeated, I always remind myself that the bigger the goal that I’m trying to accomplish, and the greater the impact I want to have, the more resistance and frustration I’m going to face, but I owe it to myself and my loved ones to keep going. You have to keep going. You have to be passionate about this thing that you’re building. You might have no idea how to monetize whatever this thing is that you love to do, but passion will drive you to figure it out. When you’re exhausted, broke, and utterly frustrated, passion will make you jump out of the bed and work late into the evening, because no dream can become a reality until it becomes an obsession. Figure out your true “Why.” There’s so many reasons to quit or not start a business. Business is risky and has so many unknowns. You could destroy your credibility. You could get punished by debt. You could even lose everything. However, your “why” is much more powerful than every reason to quit or not to start, and it’s what you need to go back to when you start feeling lost. Every entrepreneur must have a vision. Vision helps you with the process of planning, understanding the opportunity, and establishing goals for the business. It also permits you to see past where you are currently and ahead of your limited resources. What is the future of men’s grooming? Quallis: Men over the past 3 to 5 years have become much more interested in personal care and grooming. More men are now comfortably exploring products and services that were traditionally seen as more female-oriented. As we, and others in the industry, continue to educate men on the importance of grooming and how it can impact their appearance and how they feel about themselves, I think we’ll see a lot more new product offerings for men and growth in the men’s personal care space.